It’s part of the Rastakhan’s Rumble expansion. Four new Hearthstone cards were revealed at BlizzCon 2018 in Anaheim, California. One of the most exciting is a Legendary card called Shirvallah, the Tiger. It’s a little early to speculate on how it’ll work with the rest of the expansion, as so few details are known. 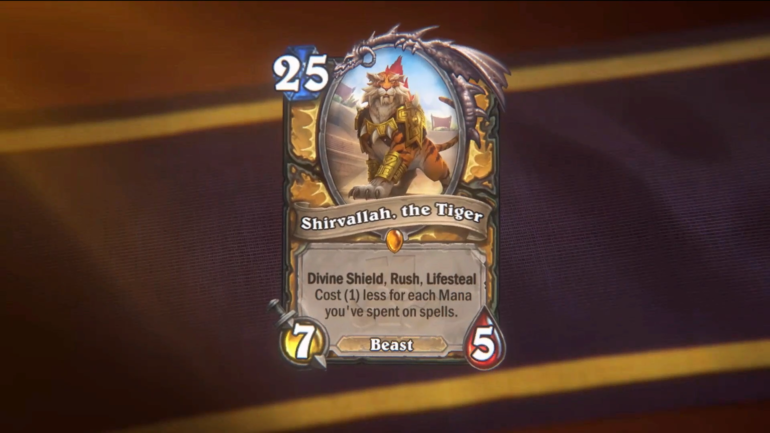 But we’re excited to see how a card like Shirvallah, the Tiger can continue to change the game. It’s part of the Rastakhan’s Rumble expansion, which is available for pre-purchase now. There are two options: a $20 bundle and a $50 one.